The word 'lens' comes from the Latin lens or lentil; thus a contact lens is seen to be lentil-shaped or lenticular. 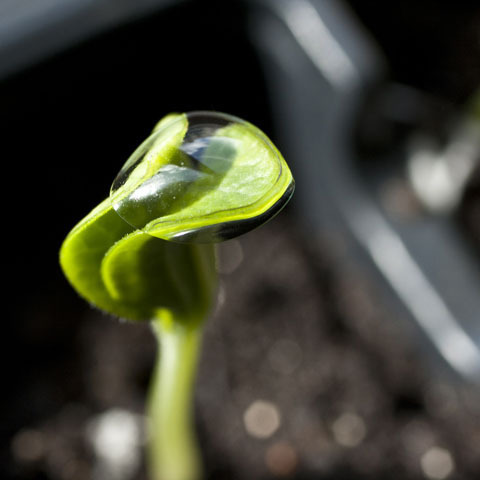 A number of other correlations exist between plants and contact lenses – both are gas-permeable membranes that use light, one for altering corneal power and the other for photosynthesis. The images were shot with a macro lens to reflect short-sighted vision. Taken in Spring, the six images represent the three pairs of lenses worn in those three months. The full series will encapsulate all four seasons.